You have probably been told many times in the past by various dental professionals about the importance of sticking to a good oral hygiene. While brushing your teeth is an essential part and you should be commended for your efforts, you also need to floss. Flossing whenever they brush their teeth, though, seems to be something that many people find it hard to form a habit of doing. If you are one of those people, you need to train yourself to floss regularly. Flossing is an important part of keeping your teeth and gums clean and ensuring you have great oral health. While it is recommended that you use floss every day, it is just as vital to floss using the right techniques to successfully remove plaque. If you are not in the habit of flossing every day or just finding it hard to do it right; we have put together a list of tips that will help you to get the very best out of dental floss. People often make the mistake of being too rough with dental floss, snapping it against their teeth to get to those hard to reach places. The temptation is there particularly if you have teeth that sit closely together. It is all too easy to slide the dental floss between your teeth and work aggressively hard and fast at it, with the mistaken belief that the harder you floss, the more plaque you will remove quickly. However, when you cut and snap dental floss deep into your gums, you can cause them to recede eventually. Therefore, to keep your gums healthy, you should exercise patience and care when flossing and use a very gentle hand. Although this may make the process a little laborious and feel more like a chore, it will do your gums the world of good in time. People like to scrimp and save and think they are being very frugal by using as little dental floss as possible. However, there are good reasons why you should use as much as you can. Dentistry professionals recommend you use at least 46 cm of floss whenever you floss your teeth. This might seem like rather a lot of floss, but if you are flossing the right way, you would need that much. In order to floss properly, you need to use the correct technique, that is, by wrapping the floss around your fingers a number of times, with just a couple of inches held tightly between your hands. Your index fingers should then be used to apply the right amount of pressure against the floss as you move it between your teeth. Using the right amount of floss will give you more control over your flossing movements. Although you may think it will save money, you should never use the same section of dental floss to clean the whole of your mouth. When you floss, you release food debris and bacteria and if you move on to another section of teeth and gums you will just be spreading that bacteria to other parts of your mouth. The goal of using dental floss is to remove any plaque that has built up around the contours and edges of your teeth and just below the gums. This tip follows on nicely from the last one. The best way to floss is by using a zig-zag pattern or sawing motion, wrapping the floss securely around both sides of your teeth in order to remove as much plaque as possible each time. 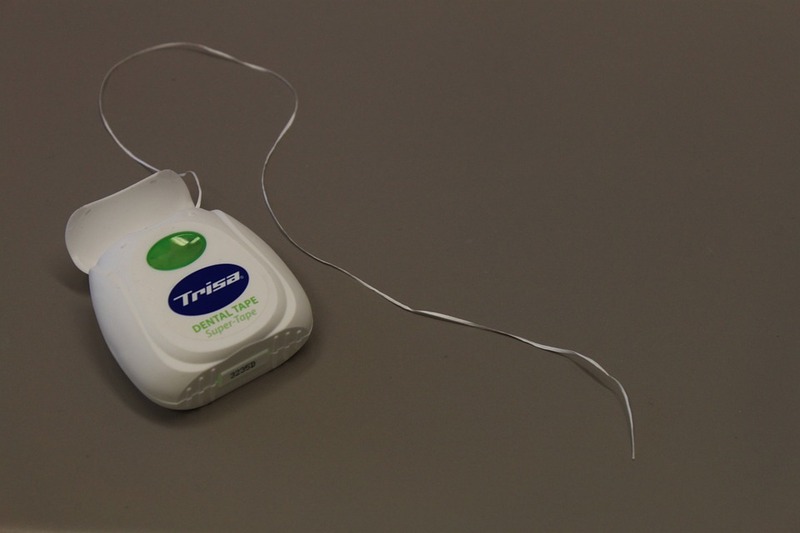 Pulling floss from side to side across your teeth chips away at the build-up of plaque safely and effectively. While flossing, slide the material through your teeth slowly and gently repeatedly. You need to make sure you remove all of the food debris from your gums. This can be done by cupping the floss against each tooth particularly the teeth at the back. Ensuring that you are using the right technique to floss will mean you get the most out of the process and will, therefore, have a healthier mouth, teeth and gums. When do you floss, if indeed you actually do floss? You may not have realized it, but you could actually get more out of the flossing process by choosing a better time to do it. We think it is worth noting though, that flossing any time of the day is better than never flossing at all. However, if possible, you should aim to floss your teeth just before you settle down for the night in bed. The reason being, you produce less saliva at night and your mouth, therefore, dries out. This, in turn, means that less bacteria is spread around your mouth causing further problems; and your teeth will stay cleaner for much longer. By flossing at night, therefore, you can also help to maintain a good oral hygiene routine. When you know you are supposed to floss, it will remind you to brush that final time before bed and vice versa. It can be very easy to become distracted when you are doing anything in life that is a little repetitive, and let’s face it, boring. For many people, unfortunately, flossing is one of these kinds of tasks. Often people get into the bad habit of not paying as much attention to it as they should. Sure, with some practice, you could floss while carrying out other tasks and activities such as watching television; but at what cost? Problems arise though when you are not properly focused on flossing, you are more likely to make mistakes, miss teeth or even skip whole sections of your gums and teeth. Always follow the same pattern then, to ensure you floss all your teeth sufficiently. When you do something the same way each and every time you do it, you can establish a good routine. Therefore, when flossing, try working from the bottom half of your mouth to the top or from one side of your mouth to the other. The actual pattern or routine you establish is not important, as long as you are covering all of your teeth and gums. The crucial thing is establishing a routine that works for you and is one that you can and will follow every single time you floss. It needs to become a way of life, part of your everyday routine and not just something you do an odd day here and there because you remember to do it. Further to the tips above for getting the most out of your dental floss, there are other things you can do for good oral hygiene. Brushing is considered the most important part of an oral health routine. So, not only do you need to make sure you are flossing correctly but for the most optimum results, you need to brush your teeth using the correct technique and right amount for each section of your mouth. If you have flossed correctly, there will be bacteria and food particles in your mouth. Therefore you need to rinse your mouth out after flossing, to ensure you completely remove the debris and bacteria to avoid further complications, so it isn’t just lying around. You can do this using either fresh drinking water or a good quality mouthwash. When you combine brushing twice a day, at least, using the right technique and flossing afterwards using the technique outlined above with the right amount of floss and the correct amount of pressure; you will ensure that your mouth is as healthy as it possibly can be, and keep tartar, plaque and other nasties to an absolute minimum.